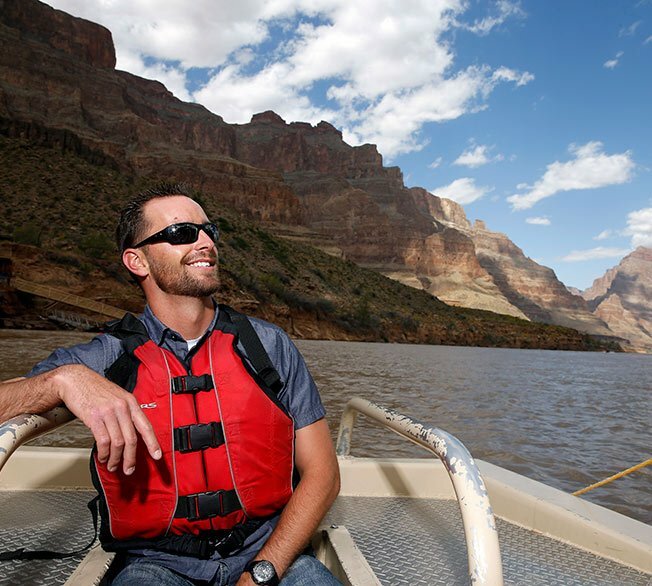 A male passenger aboard a boat on the Colorado River. Guano Point, a natural rock feature at the Grand Canyon West Rim. 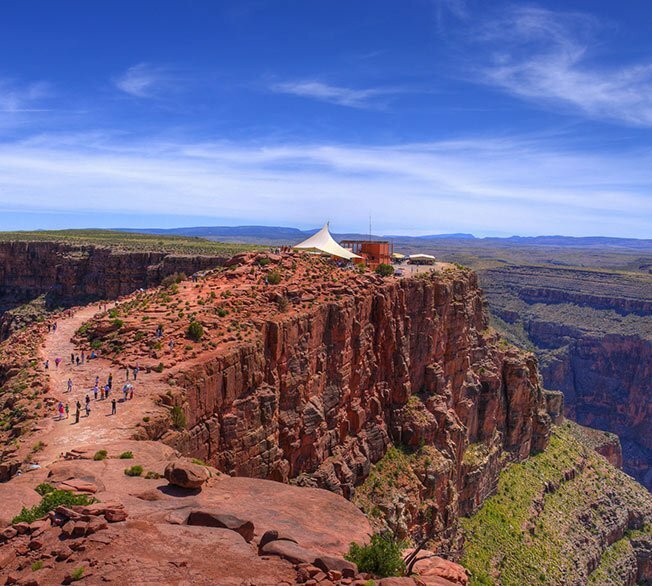 The Skywalk Bridge with Grand Canyon scenery in the background. Desert nature at the floor of Grand Canyon West. 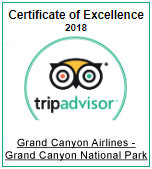 The West Rim offers a very unique canyon sightseeing experience. Instead of widespread forests lining the rim, this area features a much more rugged desert landscape. Here the gorges have eroded much differently than the South and North Rim. A notable erosion is Eagle Point - a canyon wall naturally carved by the Colorado River to resemble a massive eagle taking flight. This formation is considered sacred to the Hualapai Native Americans who have dwelled within the West Rim for centuries. Just across from Eagle Point is the spectacular glass-bottomed Skywalk Bridge. 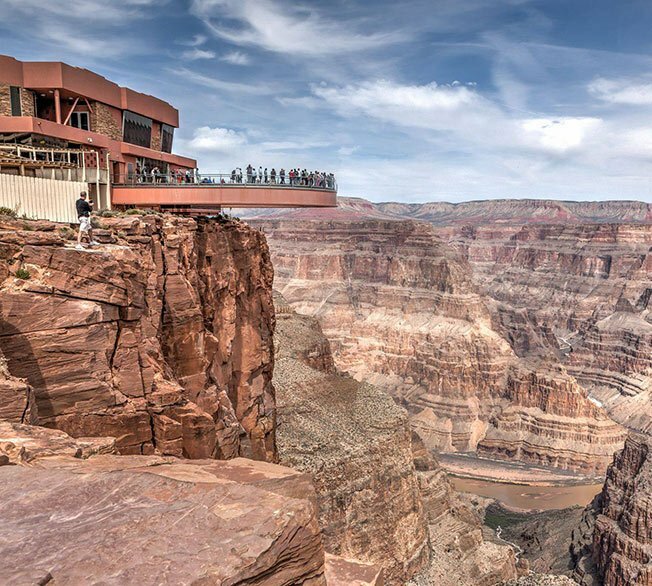 This architectural marvel allows guests to stand a mile in the air over the canyon floor. Also nearby is Guano Point - a long bluff allowing visitors to walk out into the center of the canyon. 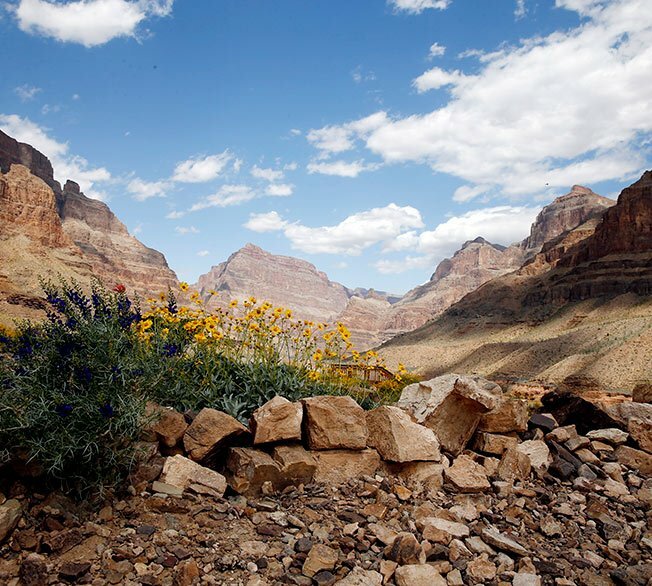 The short hike to the end leads to a remarkable 360-degree view of the stone walls and the Colorado River below. Discover all of these fantastic views from the sky and from the ground on a tour to the Grand Canyon's West Rim.